Filling my life with family and teaching and adventures and picnics with my forever fella. When preparing my very important birthday post I was reminded of an Innocence Mission song, “When Mac Was Swimming” that pops in my head every time I have to reflect on the love I’m shown on occasions like this one, a very important birthday. walking around New Orleans looking for a birthday cake. It was a great surprise to him, so many people came. Nobody knows, darling. Nobody knows how they are loved. Don’t worry, my darling, the sun’s coming up. Let’s get up early now, dive clear into the day. not wait to be embraced. since the day you came. 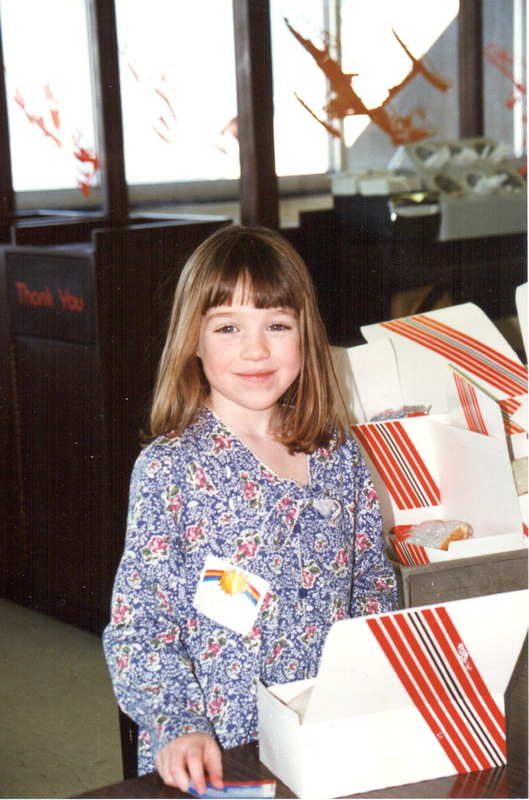 I’ve had some wonderful surprises on my birthdays throughout the years. Growing up, I never really had big friend birthday parties, we always saved a big party with my classmates for the annual Reveal Family Pool Party on the last day of school. 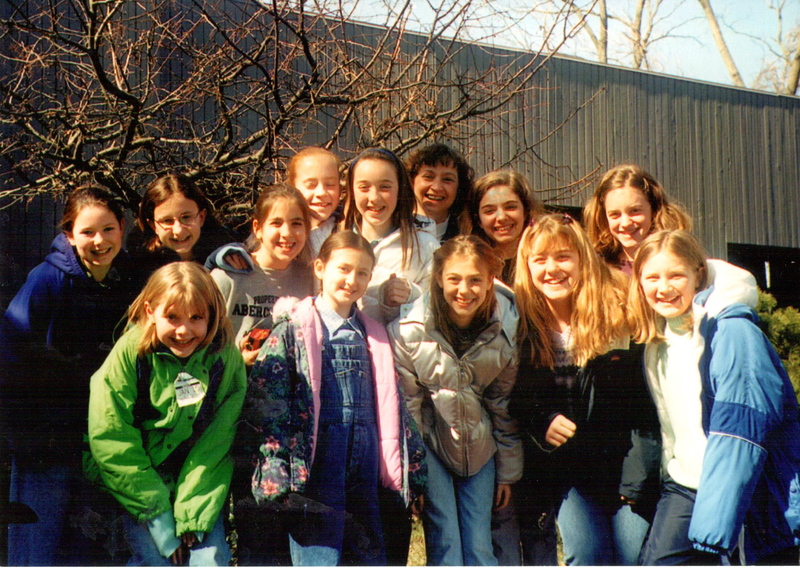 Starting in 4th or 5th grade, however, my friends decided that it was absolutely imperative that I have a birthday party, so they threw me a surprise party during lunch one day. Oh my goodness was I surprised. 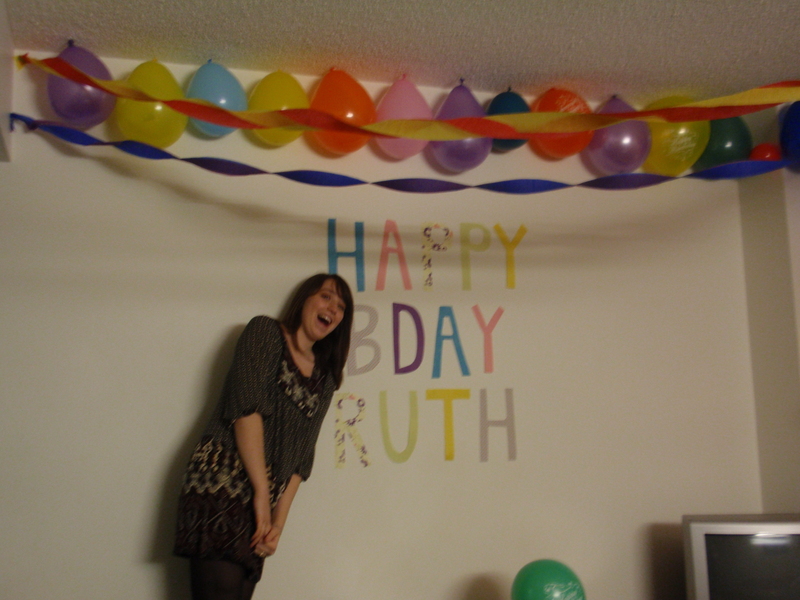 It became a kind of tradition every year to throw me a “surprise” party, complete with blindfolds and sneaky friends. I really have the best sneaky friends. In college, my birthday was one of the few that fell within the school year, so it became a big excuse for a celebration for all of us. And then last year in London, I got the best present ever of a Randy Newman concert. Lucky girl. This year it’s a low-key Kansas affair. We’re driving to Kansas City for breakfast at an adorable place I discovered on my Kansas City trip with the great Dan Dan. A little shopping and a doo wop show will complete the day. So nice. Then Saturday I’m jetting off to Chicago for a long weekend with friends. To conclude the birthday post, let’s have a little trip down birthday memory lane. The best 6th birthday party ever at the National Airforce Museum. 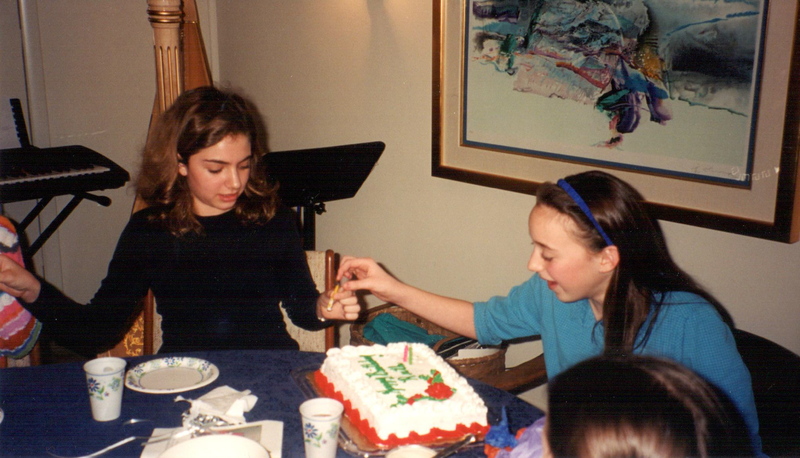 The first surprise birthday party (I think). Some pretty ladies. A record of our very important, and very ridiculous, birthday tradition, which we still do when we all get together for a birthday. 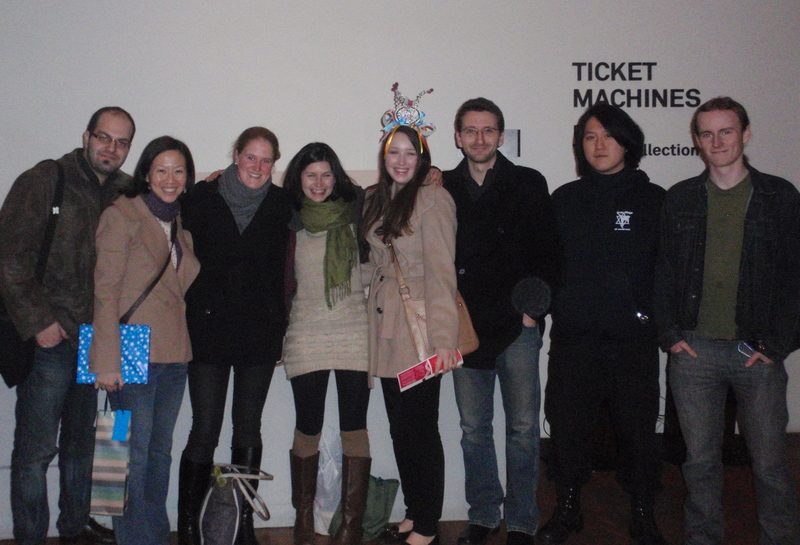 London birthday people before the great Randy Newman concert. And a birthday hat. I have some pretty great people in my life. People willing to put up with a month of me talking about my birthday, and then they’re even willing to help me celebrate. And they make me feel so loved. 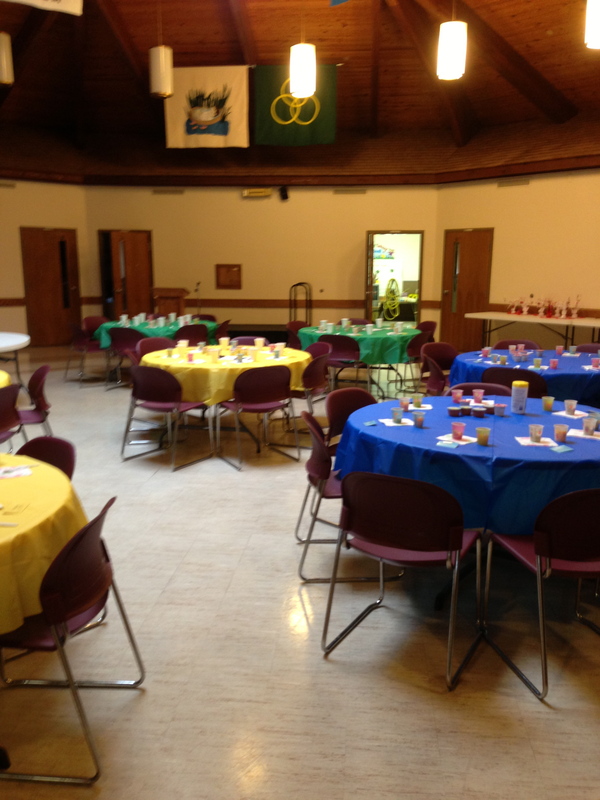 Once a month during fall and winter, the long-standing members of Frontenac United Methodist Church provide a chicken noodle dinner for the community. When referencing “my church’s chicken noodle dinner,” I’ve heard numerous times, “Oh! You must go to that Methodist church in Frontenac!” Famous. These ladies (and a few good men) turn the church into a chicken and noodle factory and spend 3 days hanging noodles, picking chicken, cutting pies, and making coleslaw and mashed potatoes. Their efforts culminate in an amazing fundraiser for the church, plus a delicious dinner that brings the community together. We try to help with the noodle hanging whenever we can, and I snapped some pictures the last time we helped. They completely sold out their dinner this week! Homemade noodles and lots of love…how can you go wrong? 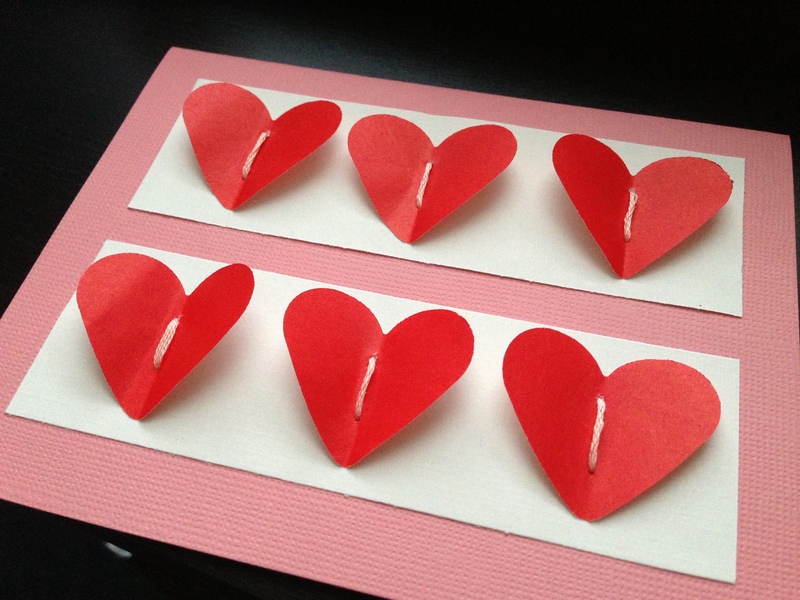 Last weekend I got into a bit of a crafting frenzy and decided to make a few Valentine’s Day cards for friends and family. 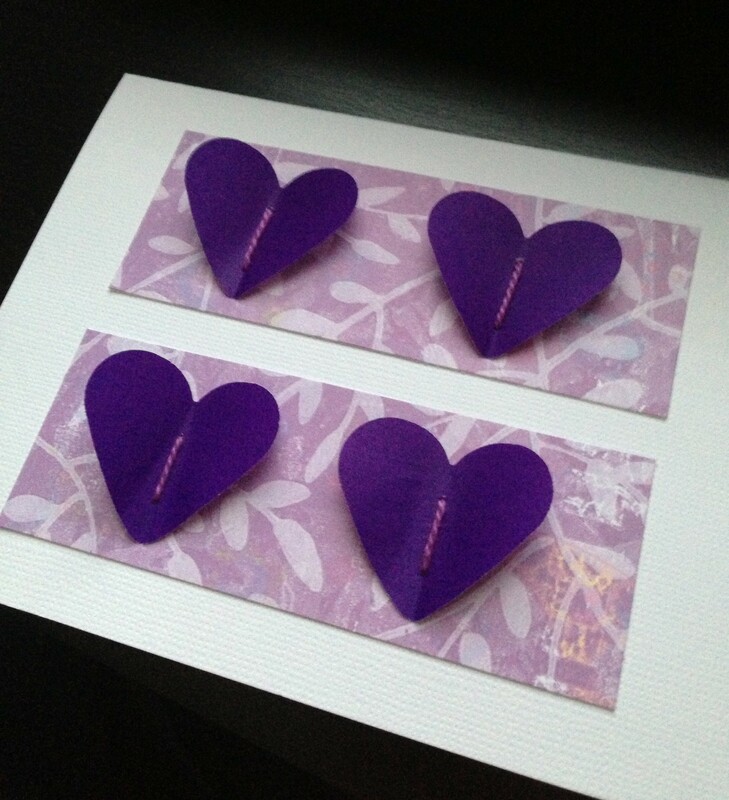 With a little help from Martha, these cards turned out perfectly, and I was so happy to drop my small tokens of love in the mailbox. 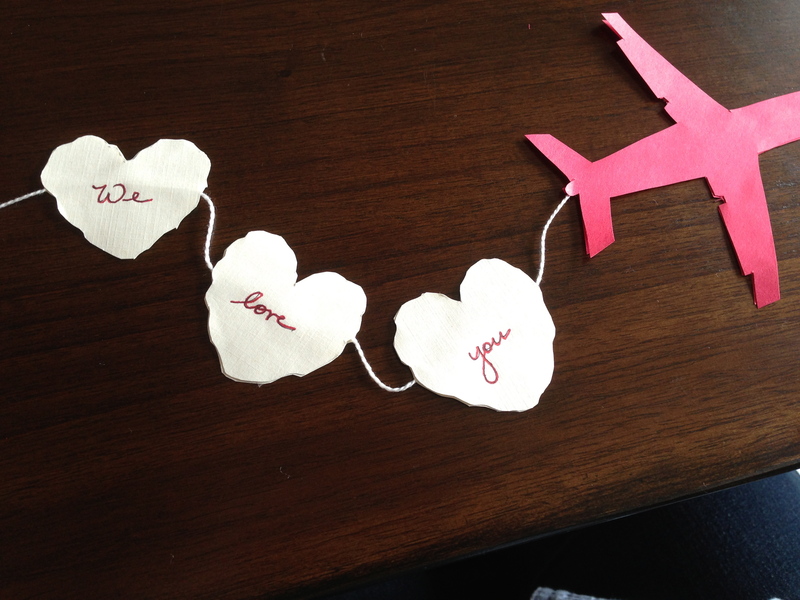 An airplane valentine for my Sharkboy/Karate Kid nephew. Mermaid/Puppy niece got a pop-up “L-O-V-E” card, but I neglected to snap a picture. 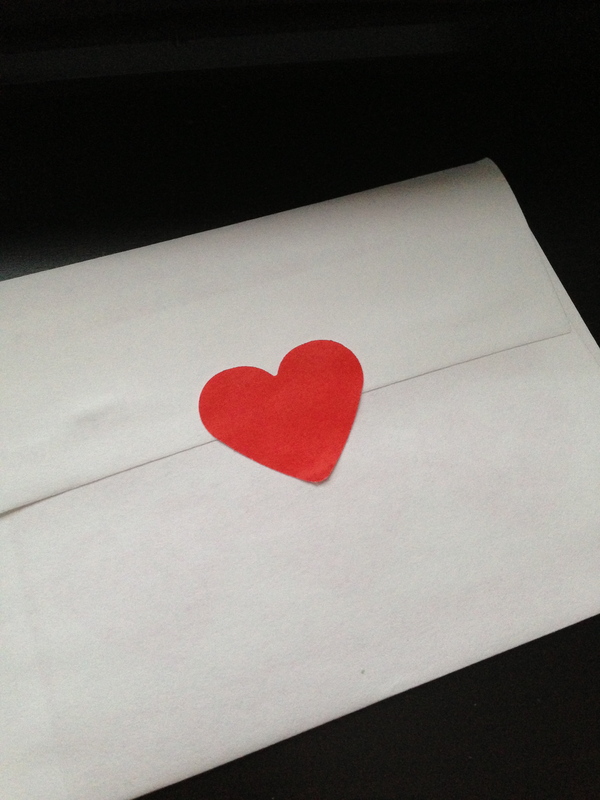 Don’t forget the envelope love! Mom and I also made some delicious, lovey, pink and red sugar cookies. Sugar cookies aren’t just for Christmas, y’all. Now that I’ve found all of our cookie cutters, expect pictures of Easter and Halloween cookies too. I might even throw in some Earth Day cookies for good measure. Wishing you lots of love and kisses and candy on this Valentine’s Day! P.S. My master’s abstract is up on the Goldsmiths website if you wanna check check it out. I can’t even begin to count how many times I’ve used the phrases, “Voices off!”, “Eyes forward!”, and “Eyes on me!” this week. I spent Monday-Wednesday subbing in a first grade classroom and then Wednesday afternoon was the first day of my After School Arts Program. My endless color coding certainly paid off, and the first day ran absolutely smoothly. The kids made it from school, they had their peanut-free snacks, and then seemed to be having a great time in their music, art, and drama classes. Woohoo! My volunteers were crazy amazing, and it was such a relief to have the first day go so well. A lot of love has gone into this program, and yesterday was only the start of seeing the payback. Watching the kids play instruments, put moustaches on monsters, and learn the elements of a story brought so much joy. Yesterday was also fraught with some internal struggles. While running back and forth between rotations to make sure everyone had what they needed, I kept thinking, “I love this. I love teaching and organizing things. I love kids.” It seemed to me that in that moment I had decided the rest of my life. Needless to say, it was an exhausting, yet incredibly rewarding day. It simply wasn’t the day to realize my calling, but I have no doubt that I’m getting closer and closer. I've spent my young adult years traveling and living and working to try to figure out how and where to spend the rest of my life. My husband and I met in London, but life and jobs took us to Chicago where I worked as a high school science teacher. Two years ago, we moved back to my hometown of Dayton, Ohio to be closer to my family and be with my father has he battled ALS. I work in my dream job as the Education Director for the Dayton Performing Arts Alliance. Life right now is full of friends, picnics with my forever fella, classical music and dance, dairy-free cooking, and trying to train an energetic mini goldendoodle puppy who only wants to eat sticks and swim in every body of water. S’more nights like this, please. Thank you, sun. This is just what @irvingleedoodle and I needed. “How long have you played the trumpet?” “Ummm - about 10 minutes.” I’m so thankful for @g_d_j_r who always jumps into every situation with both feet. Who helps with all kinds of work stuff, even when he doesn’t know how to play the trumpet. Lap puppy and tea on a quiet Sunday morning. There’s no place I would have rather been this morning than doing art and introducing kids to opera. Thanks, @k12galleryandtejas for being an incredible partner this morning! Everyone left with a smile, sticky fingers, and a song in their heads.